Lesley Rochat, a marine and shark conservationist and filmmaker, goes out on a limb, single-handedly, to investigate both legal shark longlining and illegal shark finning off the coast of South Africa. 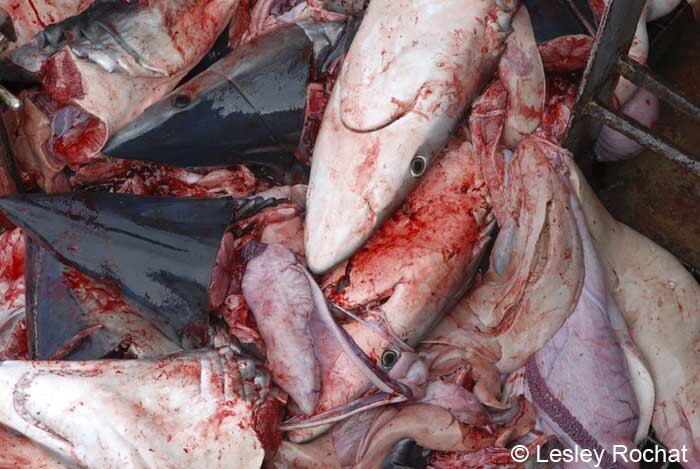 Armed with her camera and the passion to make a difference, she boarded a shark longline vessel and captured disturbing, high quality footage of mass shark slaughter. In good journalistic style she uncovers that the threat to shark populations in South Africa lies with the local government’s inadequate management and compliance of this resource. Though South Africa is a small contributor to the world slaughter of over 100 million sharks each year, Sharks in Deep Trouble is indicative of the global plight of sharks. 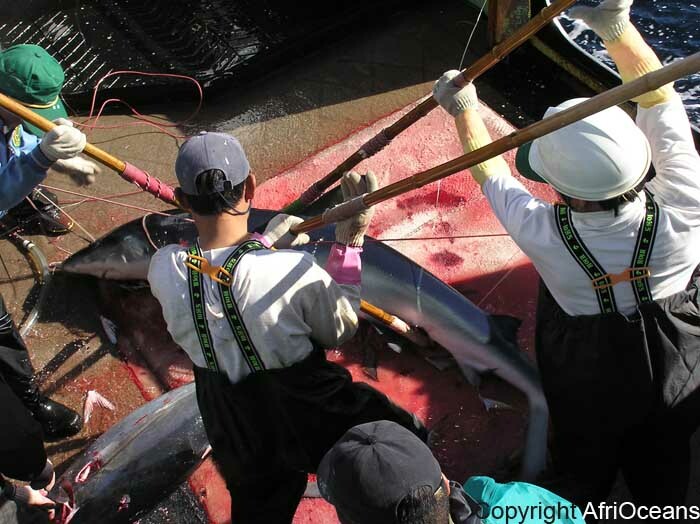 General inertia of governments worldwide in taking responsibility for their natural resources is driving many fish species, including many shark species to extinction. Lesley’s film was broadcast in South African to over 1 million viewers – never before had footage of this nature been seen. It angered many people, and brought many to tears. The success of the film in heightening public awareness about the truths surrounding shark fishing both locally and internationally shook the South African fishery department awake – soon after its release an emergency meeting was called to discuss moves to improve the management of sharks. Sadly these changes are still not forthcoming since the film’s release in 2007. The film, however, has set the platform for Lesley to aggressively lobby for positive change through the non profit organization she founded, AfriOceans Conservation Alliance (AOCA). This has resulted in her proactively running a petition for improved protection for a number of shark species, and working with the media to put pressure on the government to conserve shark stocks.